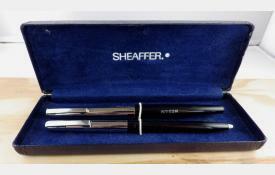 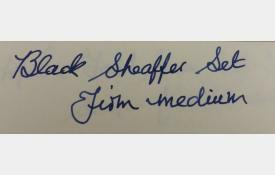 This set will fall under the general title of "Sheaffer Imperial" but I don't know which exact model it is. 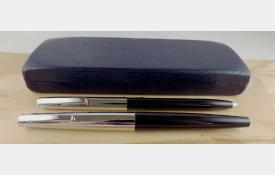 It comes in a faux leather case lined in blue and the fountain pen is 13.2 cm capped. 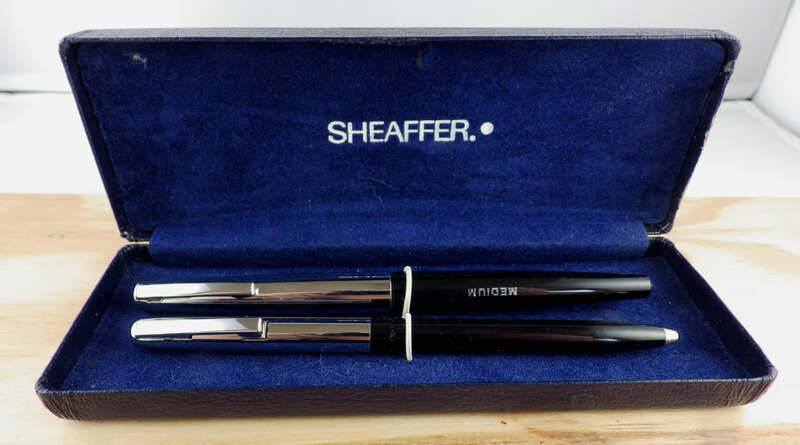 It is in black and chrome and is in excellent condition, still having the factory chalk marks. 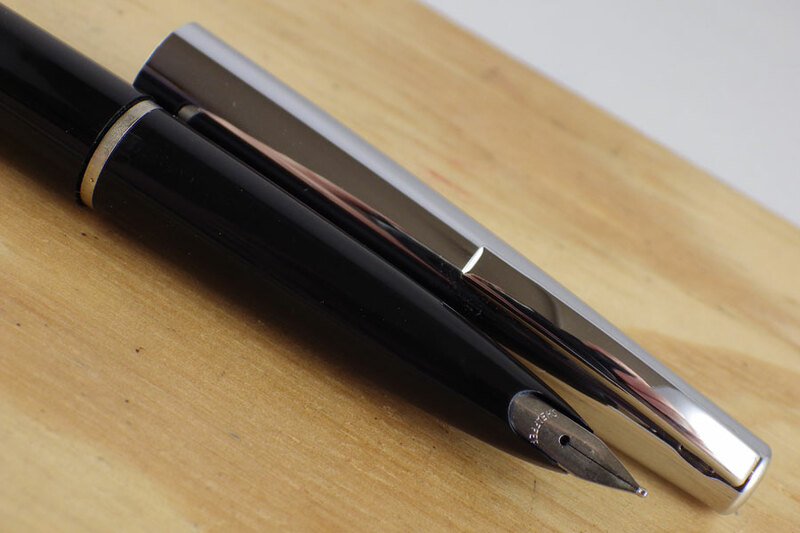 There are no cracks, scratches or bite marks and the chrome is in excellent condition. 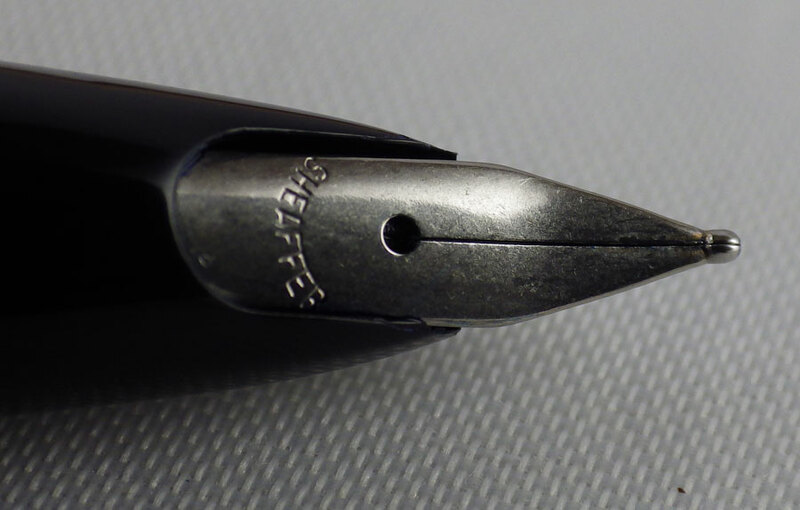 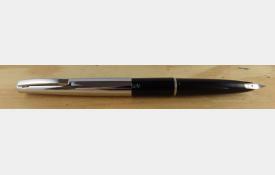 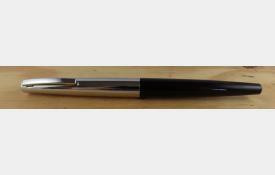 The pen has a steel fingernail nib which is a firm medium. 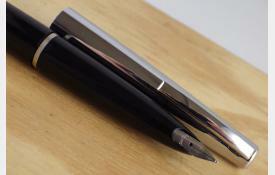 This cartridge/converter pen fills and writes well (see writing sample). 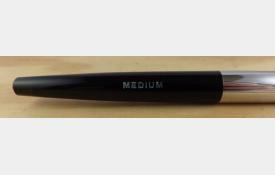 It comes with a ballpoint pen in equally pristine condition. I have fitted a new refill.